The Victorian Brass Door Knob from Period Style is a faithful reproduction of a classic period design. 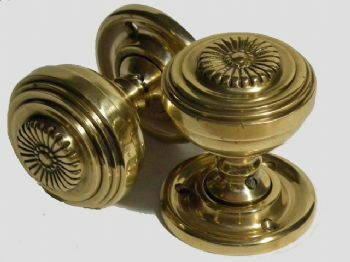 Brass door furniture was popularised in the Georgian period, but these more decorative door knobs are mid Victorian designs. These door knobs feature a delicately cast floral frieze on the outside of polished brass door knob.